Oh, those words “Complimentary Mimosa” just make my heart sing. Mimosas are my favorite part about Sundays. 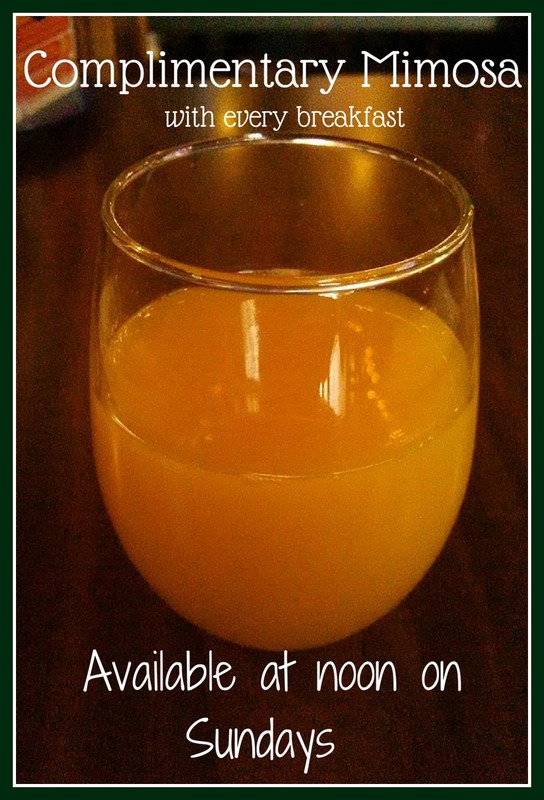 My neighborhood bar and grill started up a Sunday brunch early in 2016, and one of the gimmicks is one free mimosa with every breakfast, starting at noon. They are not anything that I make at home. I only find them every once in a while. Another local restaurant has a Sunday brunch to which you can add an unlimited drink package. This includes coffee, tea, soft drinks, mimosas, juices, and you can mix it up. My birthday last year was on a Sunday, so guess where my friend took me? I figured he was driving and I was going to treat myself, and I did. Now I make sure that I walk down on a weekly basis, to get my beverage and tasty breakfast offering. Because I do the bar’s social media, I consider it an occupational necessity. I need the pictures, right? And how can I promote something if I don’t sample it? 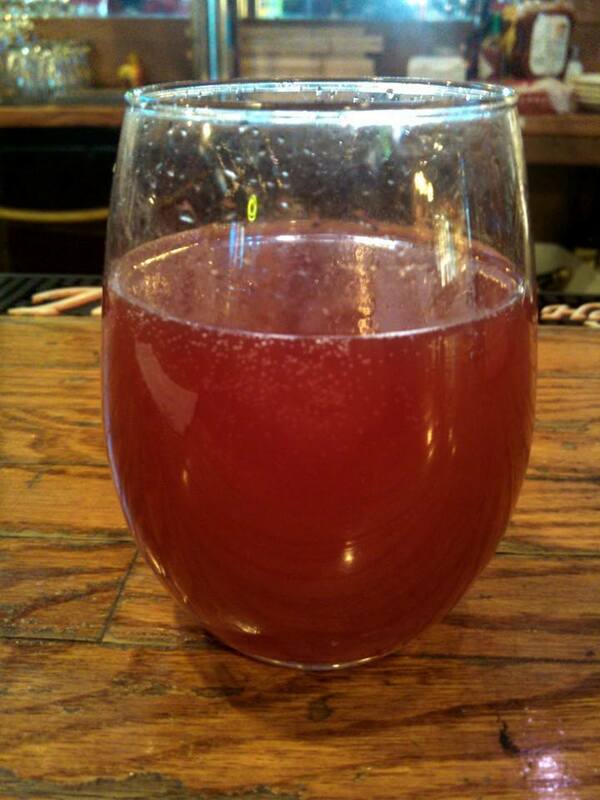 These stemless wine goblets are a great way to serve this size of mimosa. The approximate ratio of champagne to orange juice is about three parts alcohol to one part juice. Some people may prefer to make theirs more half and half. I like this ratio in my mimosas. One thing they are trying to do is to provide mimosas in different flavors. I’m not a huge fan of grapefruit juice, so I am not sure I want one of those. Cranberry juice isn’t bad, and would probably taste good with the fizziness of the champagne, kind of like a cranberry cocktail. But it was the pomegranate that caught my attention and won me over that first week. Many of us were in agreement that this version almost tasted better than the traditional version. I did notice that the bottle said it was more of a blueberry-pomegranate blend, but it was just the right flavor, sweetness, and taste to perfectly accompany my breakfast. It’s also great just to sip on while you are doing something else. 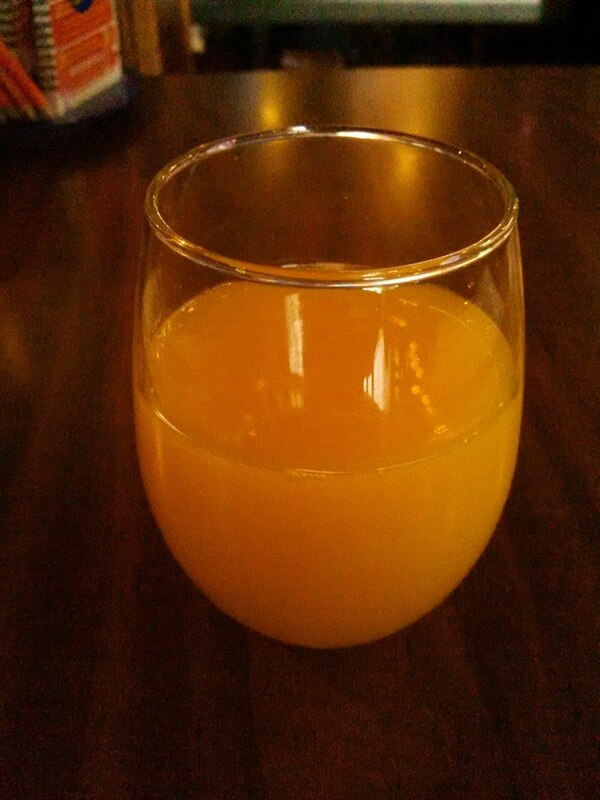 The proportions for this one are approximately the same as the orange juice mimosa. One small bottle of champagne, or three parts alcohol to one part juice. I do know that several other variations do exist. I have made it my mission to scour the internet for other mimosa and champagne cocktail flavors. I hope to have those coming to you over the next few weeks. I can’t wait to try more! How do you like your mimosas?